Our 40cm Gold Reindeer can only be described as a serious piece of bling! The stunning studded silver panels and gorgeous gold embellishments on his sides help this stylish fellow stand proud. 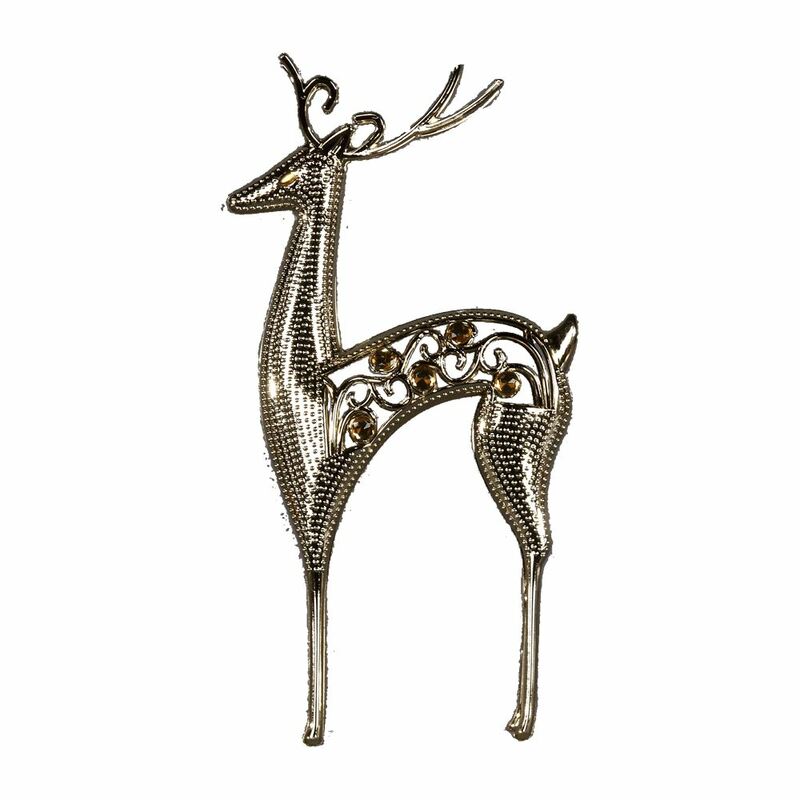 The Gold Reindeer will be at home as your table centrepiece, on a mantel, on a bathroom shelf or in the kitchen. 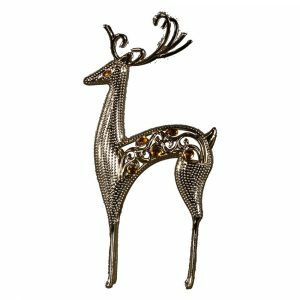 Think outside the Christmas cheer, and buy one or two to use all year round as bookends, or gift a couple to family members so you can enjoy the Gold Reindeer when you visit. If you’re looking for a thoughtful Secret Santa gift this year, the 40cm Gold Reindeers is the gift for you.